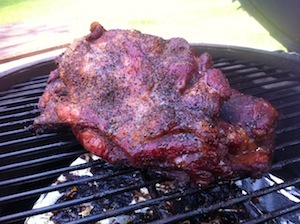 Explore the various styles of barbecue in the Menuism Barbecue Blog. Whether it's smoked, grilled, or charbroiled, you'll find tasty articles that will stick to your bones. Learn about the various styles of Southern Barbecue, from Kansas City to Memphis and beyond. We even take a look at Asian barbecue, like Korean and Japanese styles. In Australia there’s lamb’s fry, in Asia lamb is served as a kebab, and in the U.K. it’s regularly cooked in a curry. Lamb is popular around the world, and in areas such as Central Asia, it’s often the meat of choice. 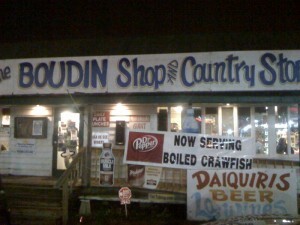 In the United States, however, it’s often overlooked, especially when it comes to barbecue. 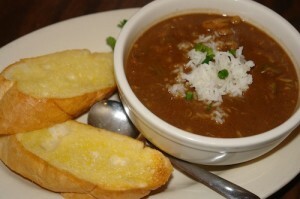 When people think of barbecue, they usually think of chicken, pork, and beef as the main ingredients. Even turkeys get thrown in a smoker every now and then. 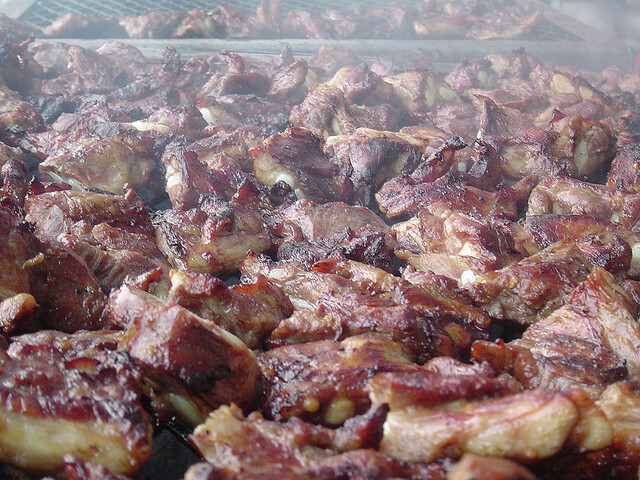 The last thing that usually comes to American’s minds when it comes to barbecue is a sheep. Cajun vs. Creole – What’s the Difference? The whole concept of cooking at the table is a little exotic to most Westerners. Swiss fondue and raclette might be the closest they ever get. In Japan, however, we have a rich tradition of cooking at the table, and none has been as big a hit in the West as yakiniku, which is fast taking root far from its place of origin. 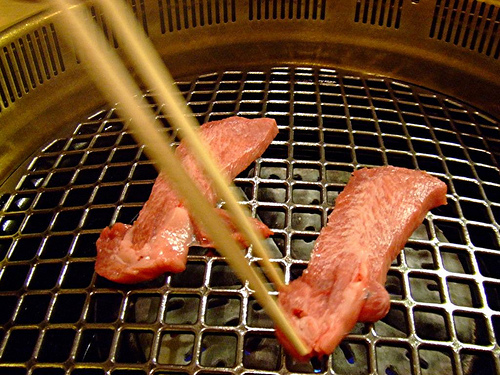 Yakiniku is barbecue, but not as you know it. More than 400 years ago cattle ranching was introduced to the Rio Grande do Sul region of Brazil. Cowboys, called Gauchos herded these cattle, and like the cowboys of Texas created a new style of cooking. It is their way of cooking, churrasco (shoo-rhas’co), that has inspired traditions carried on worldwide today. Since they had no way of preserving food, the gauchos would gather together after butchering a cow, and skewer and cook the large portions of meat immediately over a wood burning fire. Originally the standard formula for Brazilian style barbecue was to coat meats in coarse salt. The meat would then sit for about 30 minutes to absorb the salt before being cooked. Later a salt-water baste was used to keep meats moist during the open fire cooking process. Beef was typically never seasoned. The slow-cooked meat basted in its own juices and resulted in tender, flavorful steaks. Poultry and lamb, however are spiced with a rich marinade the night before cooking. The popularity of Brazilian Barbecue has lead to the founding of dozens of restaurants, popping up all over the world. Churrasco, which is also referred to as Brazilian barbeque, is usually served “Rodizio” ou “espeto corrido” (all-you-can-eat). Waiters carry huge cuts of meat on steel spits from table to table, and carve off slices onto your plate (use the tongs to grab the meat slice and don’t touch the knife edge with your silverware to avoid dulling the edge). Traditionally, you are given a small wooden block colored green on one side and red on the other. When you’re ready to eat, put the green side up. When you’re too stuffed to even tell the waiter you’ve had enough, put the red side up. Most churrasco restaurants (churrascarias) also serve other types of food, so it is safe to go there with a friend that is not really fond of meat. Churrascarias are definitely not vegetarian/vegan friendly restaurants and make sure that when you dine at a Brazilian BBQ steakhouse that you plan on eating lightly, if at all, before or after your meal. This is a protein fest that’s definitely going to knock you for a loop if you’re not prepared. Ready to get your meat on? Take a look at a listing below of some Churrascarias to check out for yourself. 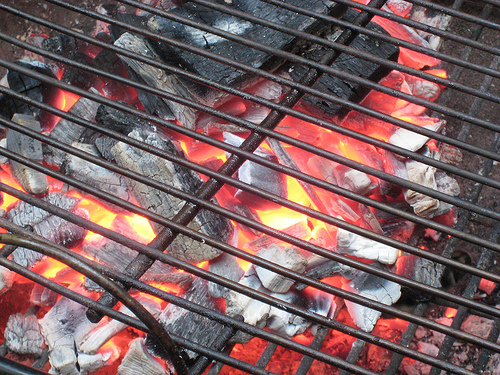 When it comes to the word “barbecue”, confusion arises as to the exact use of the term. For some, the definition of barbecuing means to grill food directly over high heat (400 degrees and more) and over a relatively short amount of time. Grilling at such high temperatures means that the meat itself will be charred on the surface which could lead to it having a tough shoe leather texture, if you aren’t already cooking with more tender cuts of meats. That’s why the direct grilling method is more appropriate for burgers, hot dogs, steaks and chicken because they won’t toughen that much when exposed to high heat. Now that you’ve learned the difference between “grilling” and “barbecuing”, let’s talk a little about 4 popular regional styles of barbecue in the US. The emphasis for Carolina-style BBQ is on shredded or pulled pork. In this instance, the pork comes from the shoulder cuts or even from a pit-roasted whole hog and is slow-roasted for hours for a meat that has a deep smoky flavor. Once cooked and tender, the pork is pulled into shreds, sauced and served in a sandwich topped with coleslaw. While both North and South Carolina focus on pulled pork, there are major differences in regards to the bbq sauce. Eastern North Carolina BBQ uses a vinegar-based sauce. In Western Northern Carolina, their bbq sauce is tomato or ketchup-based while South Carolina bbq sauce is mustard-based. Kansas City, Missouri claims to have more barbecue restaurants per capita than any city in the country. No one meat predominates; the style is typified by a rather sweet sauce, but even here differences prevail from neighborhood to neighborhood and restaurant to restaurant. These sauces are rarely used on beef dishes but are common in pork and poultry dishes; therefore, Kansas City is ften associated with dishes like BBQ chicken or sticky smoked ribs. There’s a distinct German influence on Texas style barbecue reflects a distinct German influence which includes food items like smoked sausages along with beef brisket and pork ribs. When it comes to brisket which tends to be on the tough side, Texans have made the cooking of it an art form. 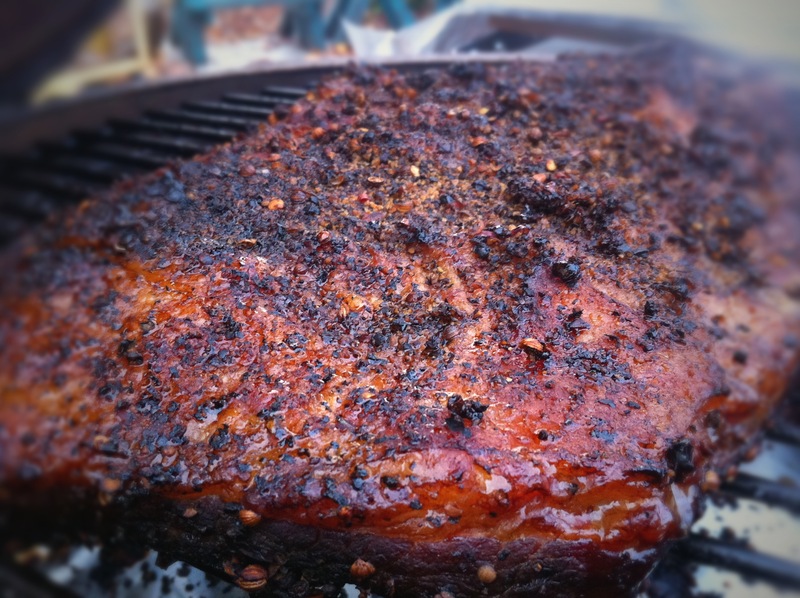 Texas-style barbecue brisket involves just the right rub (a mixture of sugar, salt, and spices that is rubbed into the meat before smoking), a good smoker and up to 20 hours of cooking time. The beef brisket is never sauced during the smoking/cooking process. If at all, the sliced brisket will be served with sauce on the side, to be applied in whatever manner and quantity the diner desires. In other parts of Texas, you’ll find lots of BBQ joints that don’t serve sauce at all. When it is served, Texas bbq sauce is tomato based and leans towards being spicy and tangy; yet, with a moderate level of sweetness. Even with this information, there’s still lots of confusion to be had about the word “barbecue” which can be used in many contexts like “Let’s have a BBQ” or “Let’s BBQ some steaks on the grill” or “Throw some more BBQ on my chicken.” But you know what? In the end, it doesn’t really matter. Sit down and enjoy your ‘cue because whether grilled or slow-cooked, bbq is a true carnivore’s delight. If you’re not in the mood for cooking your own barbecue, look below for some bbq joints you can check out for yourself.